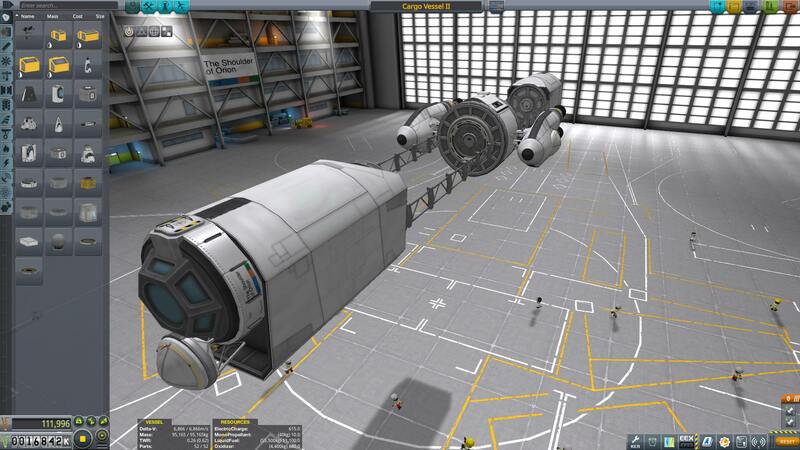 This ship is for moving station parts around, or landers, rovers, whatever. Two whatevers even. Just go nuts. 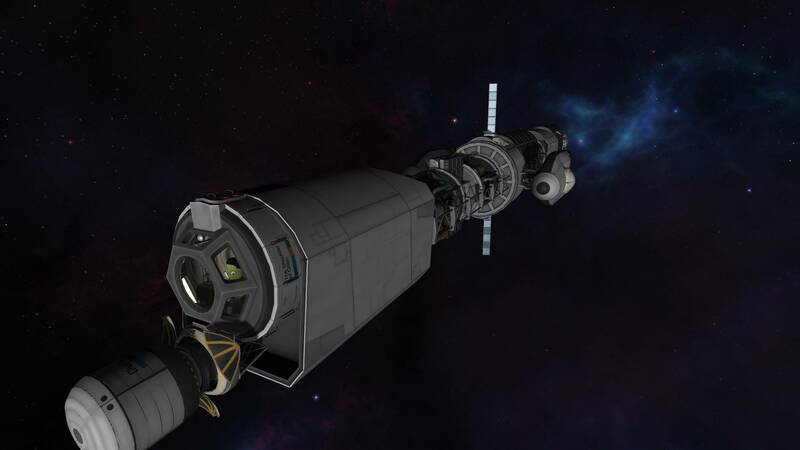 It’s based around my space station core, so it can even act as a station itself if kitted out properly. A much larger spacefaring vessel based on the system 3 large docking array moreso than it’s own predecessor. able to haul an entire space station. A stock aircraft called Cargo Vessel II. Built with 52 of the finest parts, its root part is cupola.